The Bryan & Vinny & Granny Show is back today with tons to talk about including Granny's usual Facebook Q&A, her Weekly Wrestling Report, and then, for THURSDAY NIGHT POTPOURRI, we've got this week's NXT show as well as the BRUNO documentary that aired this week on the WWE Network! We start off with talk about the upcoming F4W/WON Convention, including discussion on where it may be held this year, as there is a choice. Granny joins the show as she, Bryan and Vinny answer questions about their go to sandwich, advice for first time parents, favorite travel snacks, food and more. Granny then has her wrestling report, featuring talk on NXT, Bruno, 205 Live, June Byers vs. Penny Banner and the segment on Raw where Undertaker tried to embalm Stone Cold Steve Austin. NXT was reviewed next, featuring Roderick Strong explaining why he turned on Pete Dunne, the neverending split between Riddick Moss and Tino Sabbatelli, Dakota Kai, and another encounter between Johnny Gargano and Tommaso Ciampa. 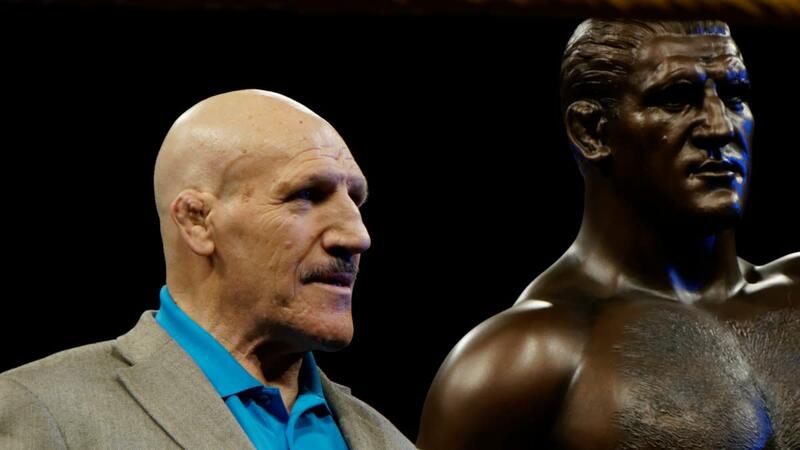 The show finishes off with discussion of the Bruno Sammartino documentary that aired on the WWE Network this past Monday. B&V&G: NXT, Granny's Wrestling Report, THURSDAY NIGHT POTPOURRI!